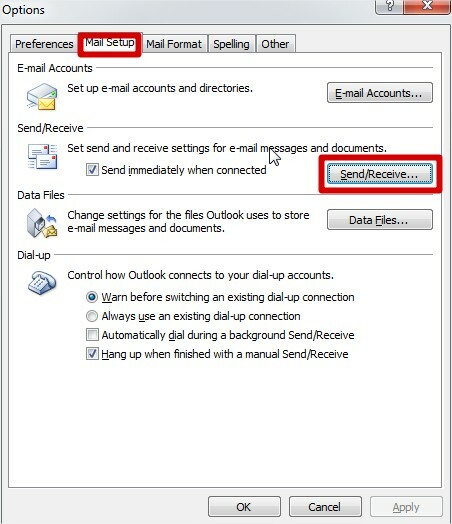 In this tutorial, I am going to teach you how you can control your computer's basic function using Microsoft Outlook and your Cell Phone Network. 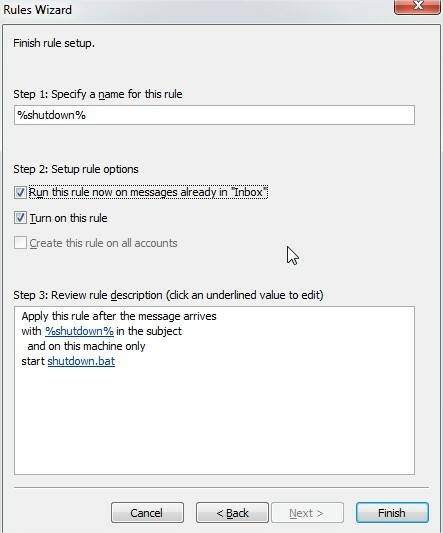 For this tutorial i am demonstrating how a user can Shutdown, Restart, Hibernate their computer, just by sending an email from their phone. Now let's begin with the tutorial. First, you need the batch files to perform the Shutdown, Hibernate operation. 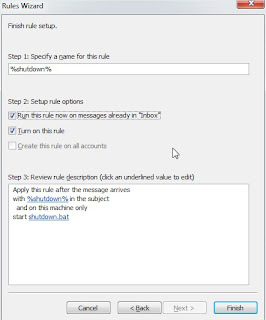 Shutdown -r -t 10 -c "shutting down"
Now open up Microsoft Outlook. 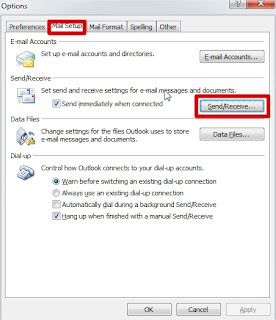 I am assuming that you have already configured it for your Email and I am not going to teach you about setting mail in Microsoft Outlook. 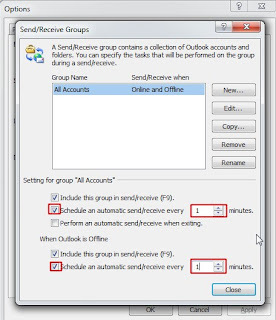 Now we will need to make it so that Outlook checks your inbox about every minute. You can do this by going to Tools>Options. 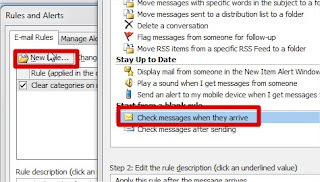 Then click on Mail Setup tab, and then, the Send/Receive button. 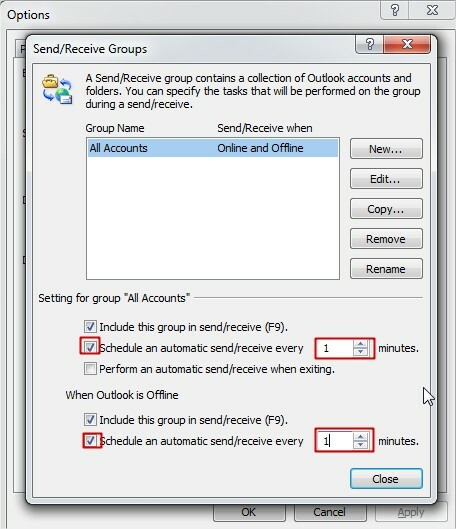 Make sure that the Schedule an automatic send/receive every... box is checked, and set the number of minutes to 1 or anytime you may like. Now you may close all of these dialog boxes. 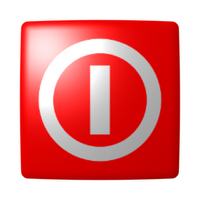 Now go to Tools>Rules and Alerts. 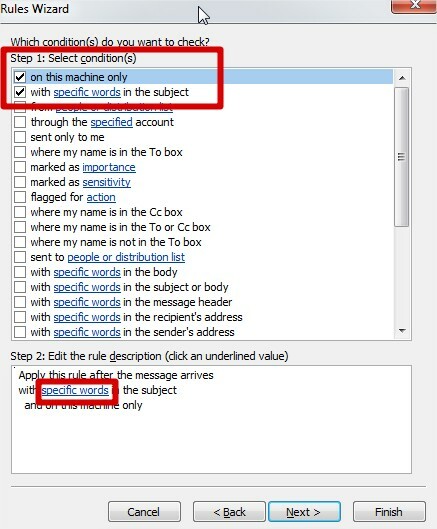 Click on E-mail Rules tab. In new window select Check messages when they arrive and click Next. Now in next page, check on, on this machine only and with specific words in the subject. 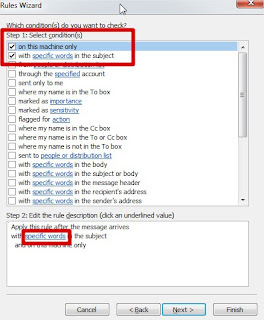 After checking these two values, click on specific words underlined. Search Text window will open, in the input field type the command that shuts down the PC. You can use any commands. For prevention of accidental execution I kept%shutdown% as a command. Click on Add button after you are done and click on OK. 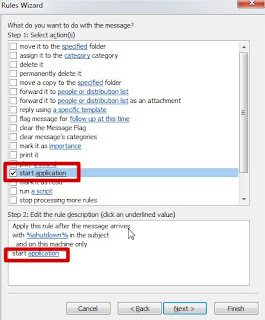 In the next window check mark on start application. In the lower screen, click on application link. Now you'll be welcome to your familiar file open window. Load all files. And select the batch file that you've created to shutdown your PC. 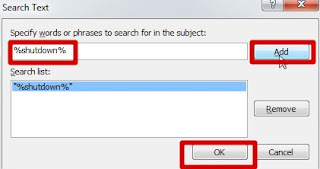 Click on Next, again click on next (don't choose any things in this step). And finally click on Finish button. 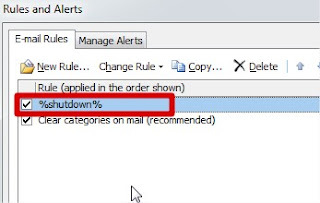 You'll have%shutdown% alert shown in the E-mail Rules tab. 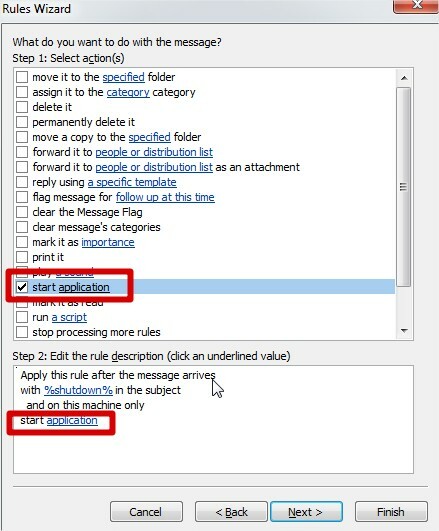 Now, when you send a message from your phone to your e-mail address with the Subject %shutdown% your computer will trigger shutdown.bat file and instantly executes the command in that batch file leading to shutdown the PC. 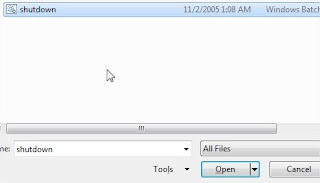 You can use any batch file to execute any command.